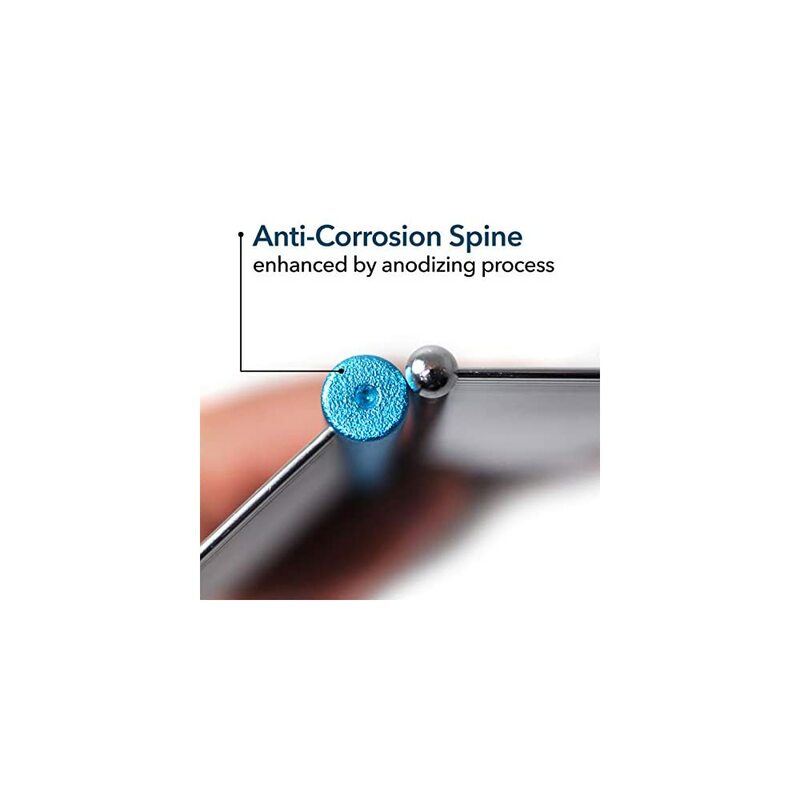 ANTI-CORROSION SPINE & ROUND PIN ENDS: The aluminum spine is enhanced by the anodizing process which converts the metal surface into a decorative, durable, corrosion-resistant, anodic oxide finish. 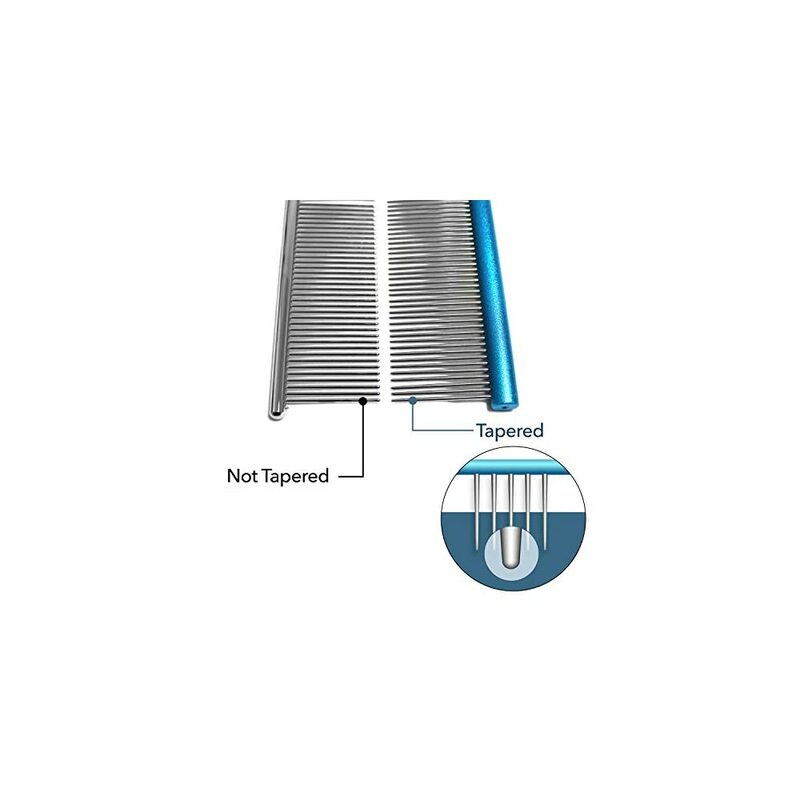 This comb is also outfitted with rounded pins. No sharp edges. No scary scratching. 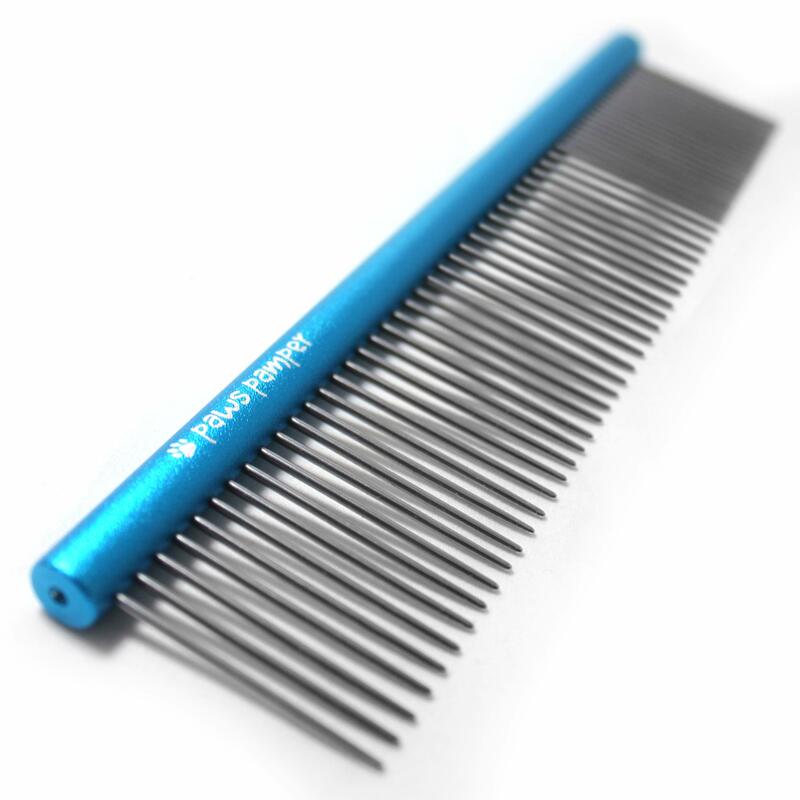 LIGHTWEIGHT ERGONOMIC COMB DESIGN: While other combs have the tendency to slip & slide when gripped, this one fits comfortable in hand. No more slipping & sliding! 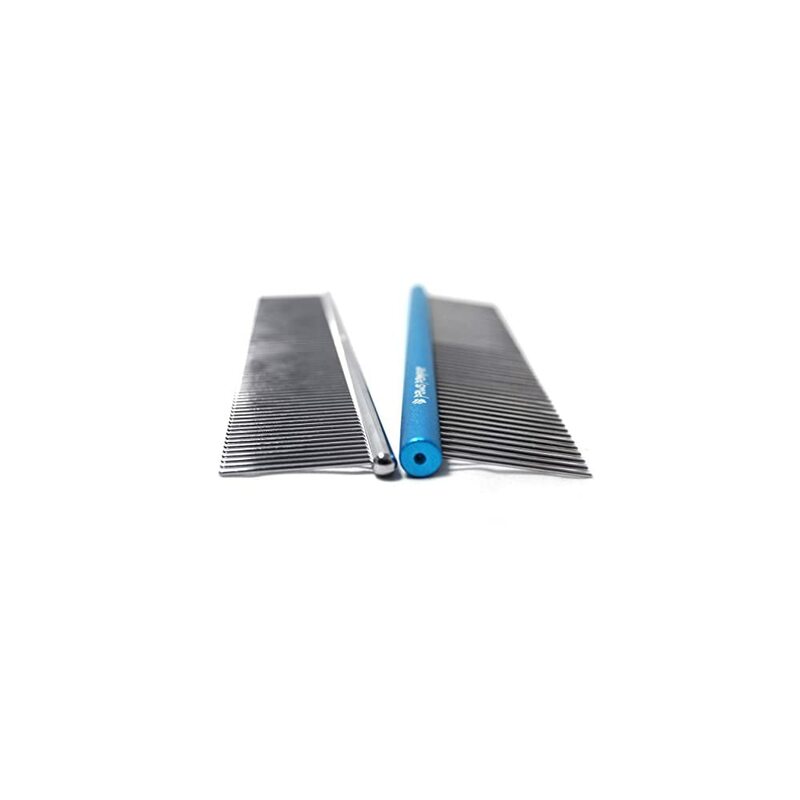 CRAFTED FROM ECO-FRIENDLY ALUMINUM: Also unlike most grooming combs, this professional too is made out of the highest quality eco-friendly aluminum. 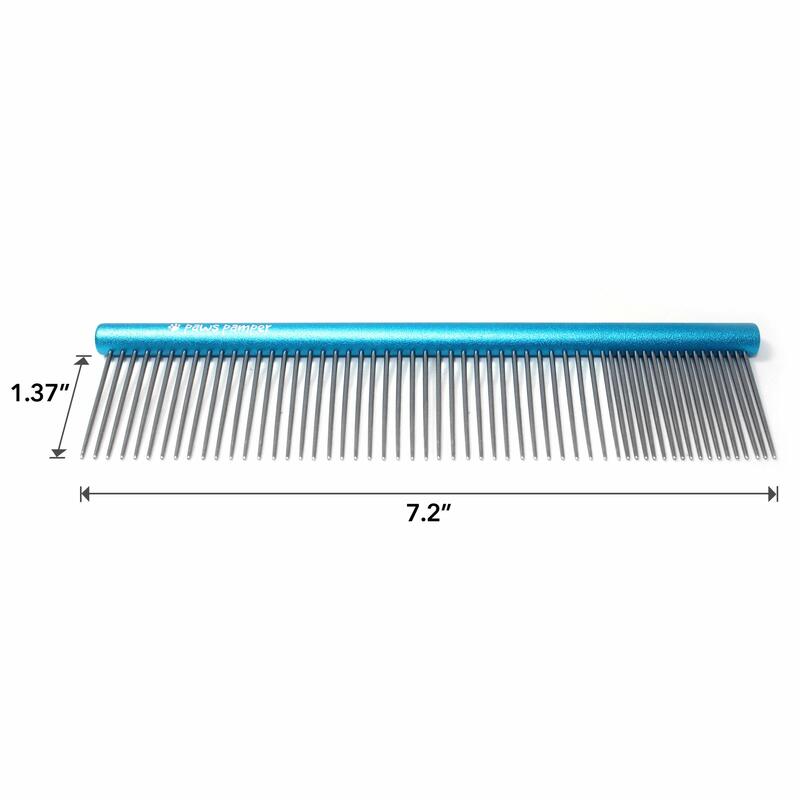 Ultra-strong and sturdy, this professional grooming comb is built to last. Did you know pet hair needs just as much upkeep as our hair? It’s totally true! An animal’s fur is typically susceptible to knotting, matting & tangling, so what is a pet parent to do? Get the power of PawsPamper on your side! 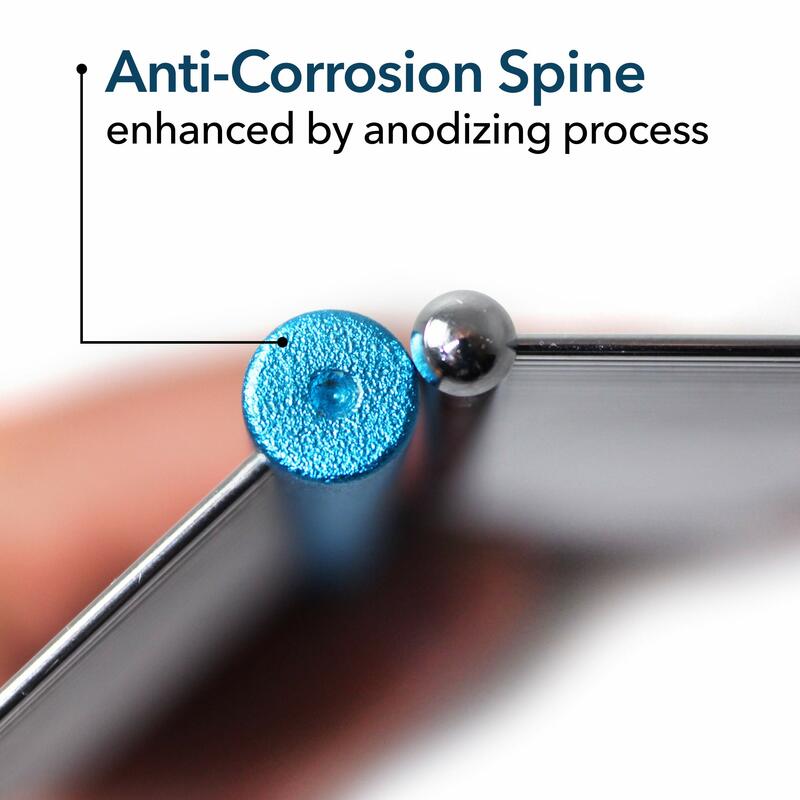 Regularly combing your dog or cat’s coat is proven to promote healthy hair growth, improve the condition of his/her skin & reduce airborne pet dander allergens. 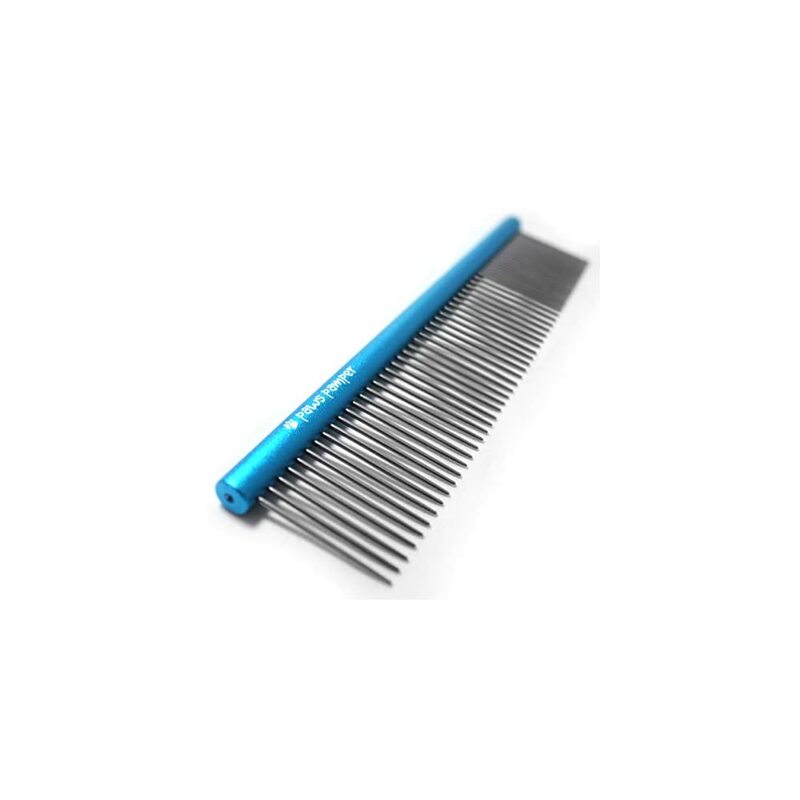 But not just any comb will do. 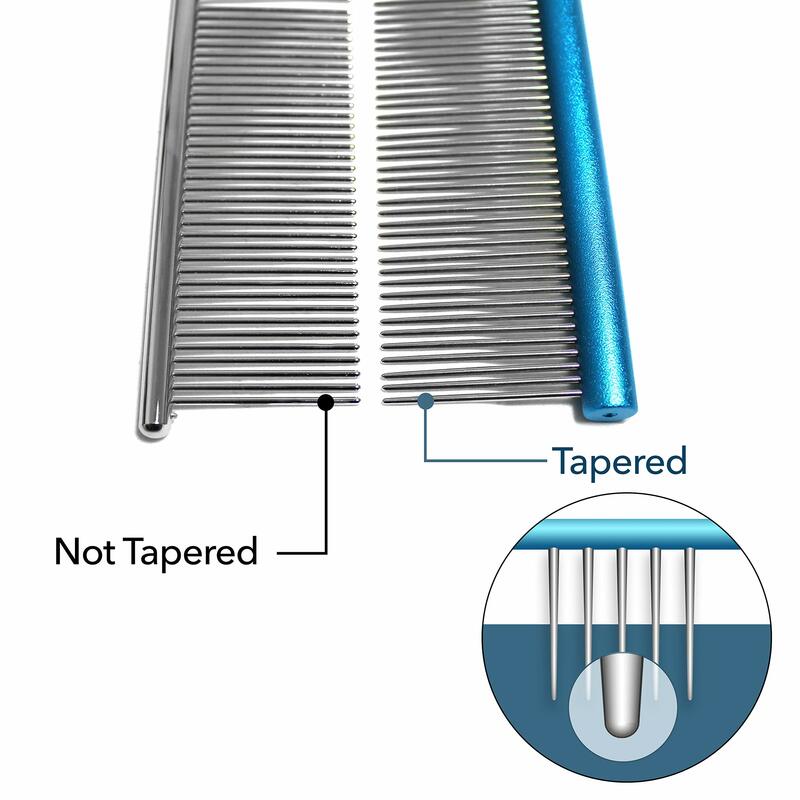 Our comb is stronger, easier to use & safter than most other groom tools. 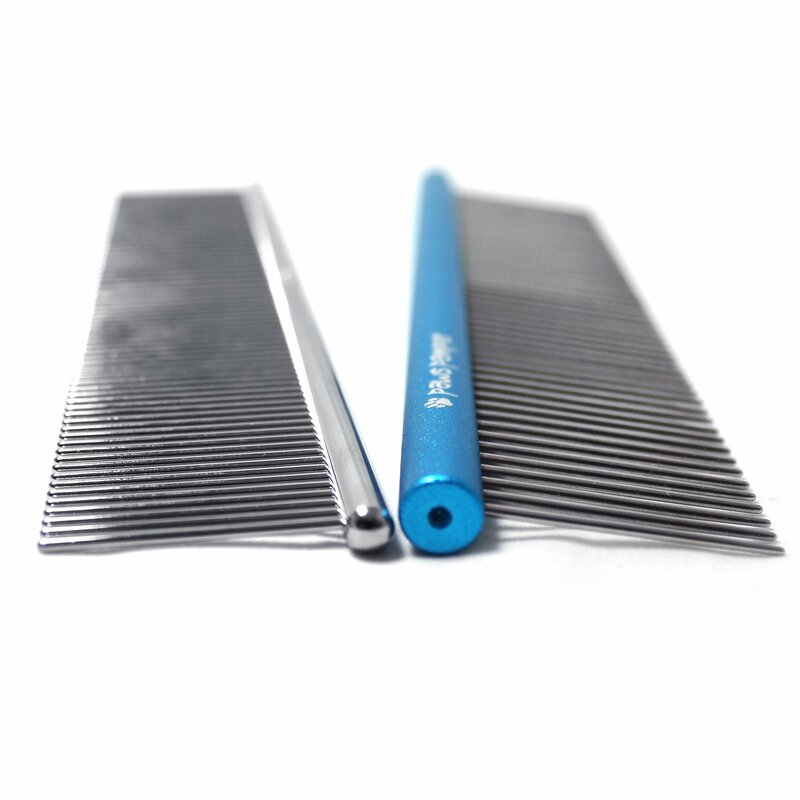 Good comb for my dog and cats,these are very helpful and strongly made. I really like this style of comb as it is good for removing dry skin from your pet, and most cats I have ever had love the scratching motion of these types of combs. 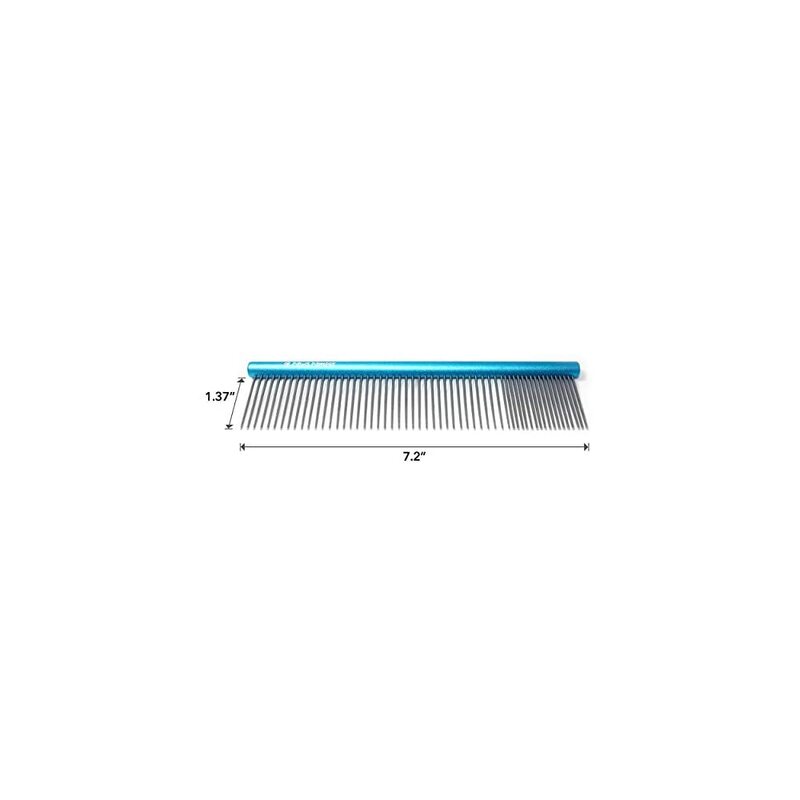 However, I am wiling to wager you could find the same type of comb, maybe more basic, for a better price in a physical store.